The road leading northwards from St Margaret's Green along the present-day Bolton Lane route was called Thingstead Way and was recorded on Ogilby's map of 1674. 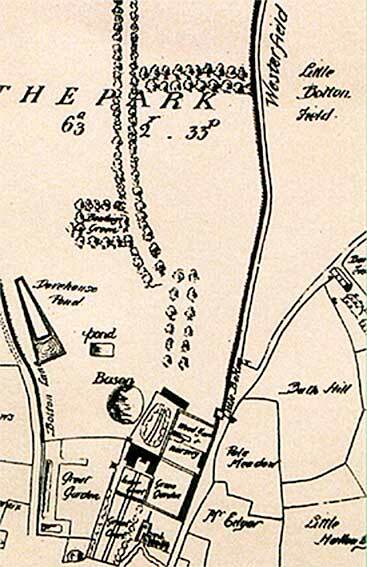 By Pennington's map of 1778 it was called Bolton Lane; some sources suggest that this may have been a misunderstanding as the meadowland of Bolton was situated on the other side of Christchurch Park (possibly near the Upper Arboretum). However, White's map of 1867 clearly shows the names of the farms north of the parkland: to the west (Henley Road side) 'Sand Hill Farm'; while above and to the east (Westerfield Road side) is 'Bolton Farm'. The above detail from John Kirby's 1735 map of Christchurch Park (fully shown on our Christchurch Park page under 'The story of...') shows the V-shape of lanes converging on the site of The Woolpack with the legend – a bit illegible here – 'Little Bolton' beside it – at the top of what we today call Bolton Lane. 'Little Bolton Field' stretches right down to this point. Hence, today's Bolton Lane is appropriately named. However, in the way of these things, matters are somewhat confused by the legend 'Bolton Lane' to the left alongside the lane going north through a field named 'Great Bolton' (close to today's Fonnereau Road, but inside the boundary of today's park). Rather a surfeit of Boltons; no wonder later map-makers chose one of them in the naming. 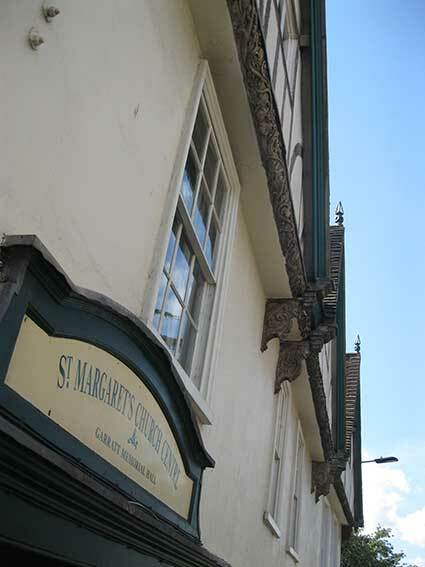 As Carol Twinch points out in Ipswich street by street (see Reading List): "To walk along Bolton Lane is to travel in the footsteps of the Augustinian canons of the Holy Trinity, whose presence in the town between the 13th and 16th century helped to shape both its character and appearance." 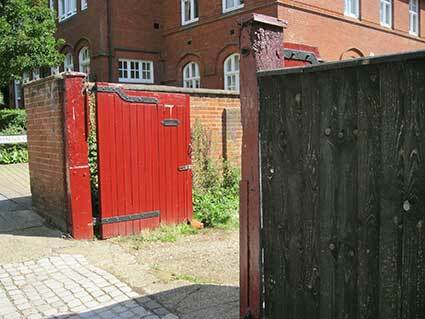 See our Monasteries page for more on Holy Trinity Priory. 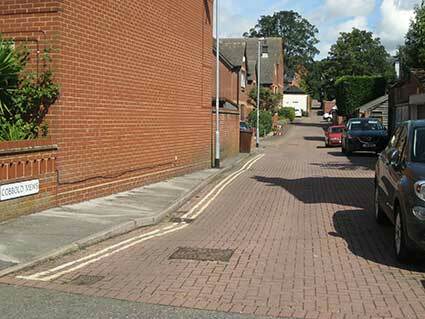 Our page on Blue Plaques has an image of the board giving information about the Thingstead (St Margarets Green). The enhanced close-up (above) shows colour differentiation and surrounding decoration. 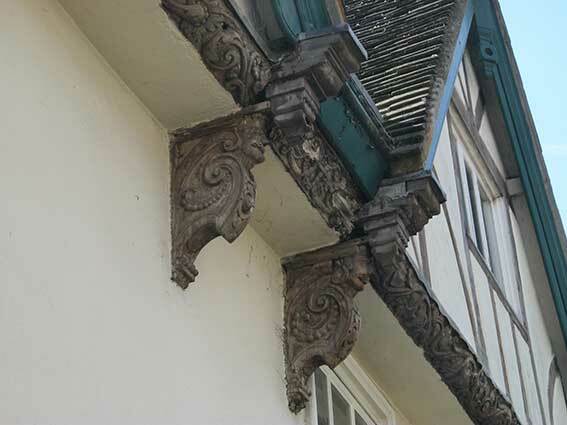 Close-ups of the carved woodwork suggest recent restoration and removal of any paint to reveal the wood. 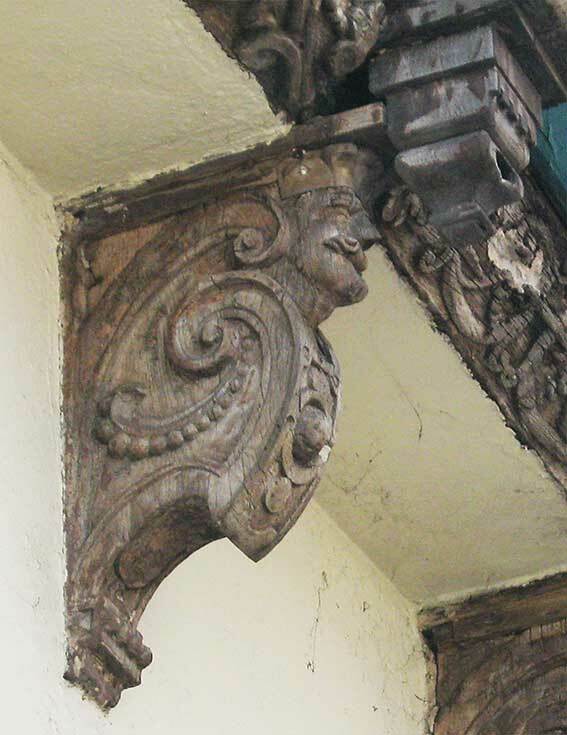 The brackets reveal moustachio'd gentlemen's heads, nearly obscured by the carvings descending from above. "The lady in case [I am researching] was Alice Sarah Oxborrow, my 3x Great Aunt. 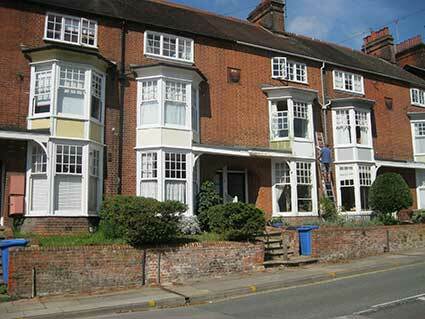 "By 1901 Alice had returned to Suffolk and was a boarder at Gainsborough House, Bolton Lane in St Margaret, Ipswich. 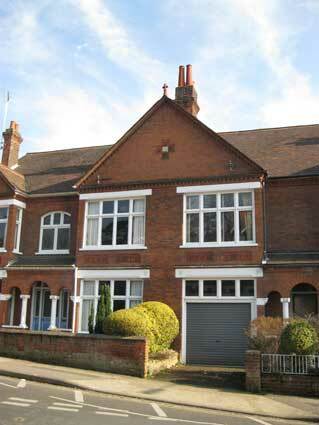 It was a YWCA Boarding House, run by a Superintendant called Eugenie C. Sweeting. Most of the boarders seemed to be Dressmakers, Milliners and similar. Alice was 37, one of the oldest boarders in the house, still single, shown as a Dressmaker, own account, working at home. 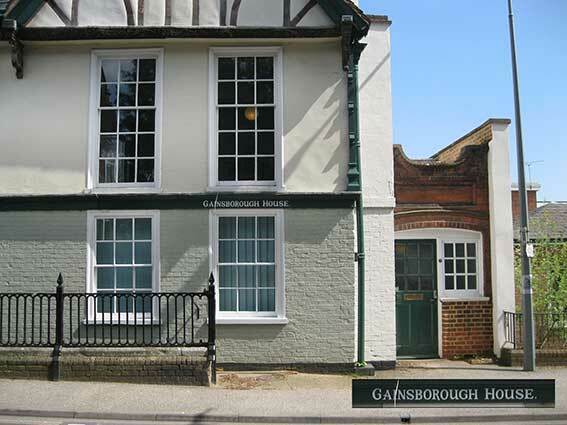 Gainsborough House was opposite St Margarets Church and overlooking the graveyard. 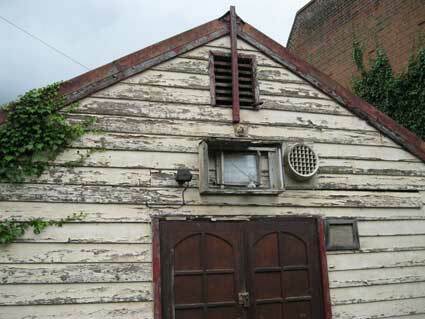 A little further up Bolton Lane is another early, dated building: The Wrestlers. 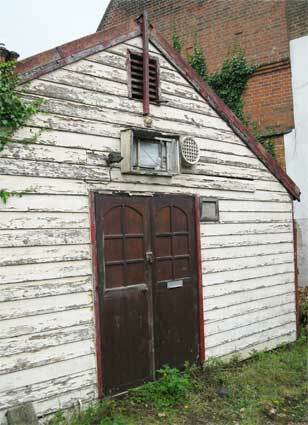 Glimpsed to the left of the hall in the top photograph is a real Ipswich oddity. 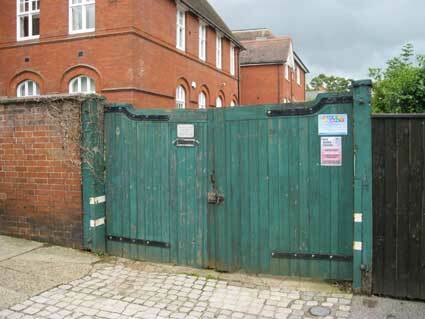 Lost between The Garratt Memorial Hall and Bolton Lane School (now a gated, residential development, see 'Devereaux Court' below) is a building behind double gates in some need of attention. ... Today the firm is administrated by our Principal, Dr Maurice Merrell, who has over 60 years of experience with Bishop and Son, from our head office at Queen’s Park in London, with works located both there and at Ipswich. Our enthusiastic team of skilled craftsmen trained in all aspects of the trade are employed in projects all over the country and abroad. We work on organs both old and new, our work ranges from general tuning and maintenance to restoration, re-builds, new instruments and everything in between." 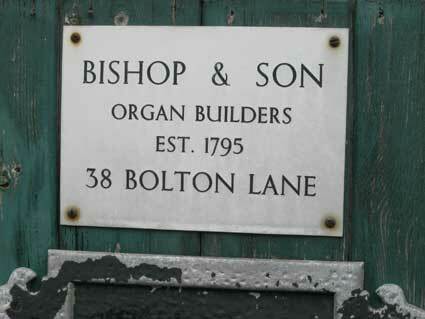 The website's contact details for the firm quote the 38 Bolton Lane works as their Ipswich address. 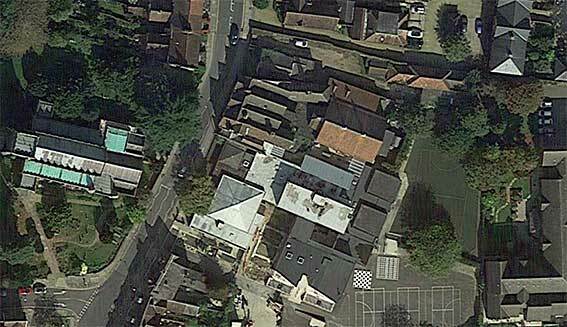 Looking at a satellite image of the area reveals that the drive leads from the gates to a long, narrow plot with about four interlinked buildings, backing onto the car park (accessed from Cobbold Mews, off Cobbold Street, see below) and playing field of St Margaret's C.E.V.A.P. School. It is interesting that The Wrestlers up the lane is numbered 40, so Bolton Lane Municipal Secondary School for Girls (visible in the background, above left), later a music education centre and temporary home to the County Library during its rebuilding in the 1990s, never had an official number, perhaps. 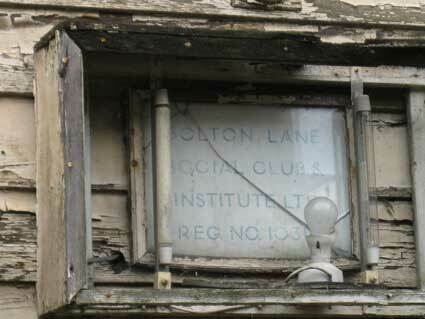 This would account for the nearby St Margaret's Primary School being listed as just 'Bolton Lane'. The next address down the hill from the school is No. 4. 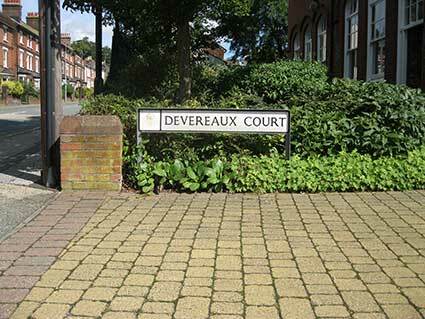 See Devereaux Court below for a photograph of the old school. The Church of St Margaret is at the left with the primary school across Bolton Lane from it. 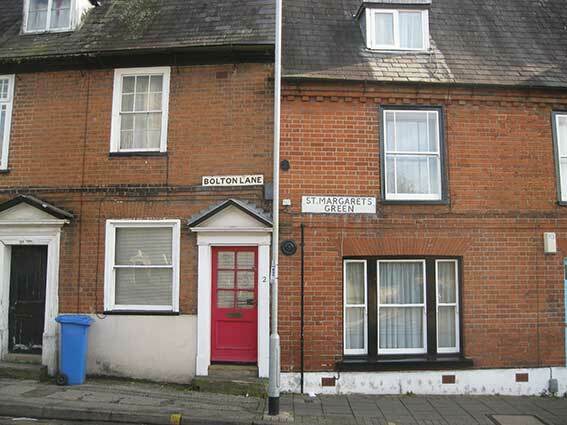 Soane Street is a botton left. The Bishop Organ Works entrance is at the top of the image where a car passes the gates and a white car is parked in the driveway. 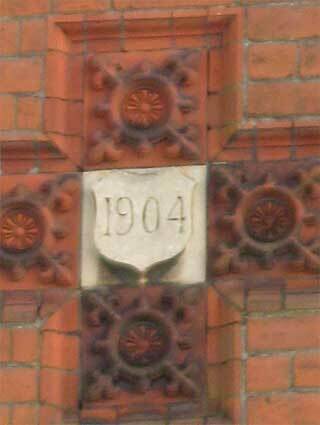 A much clearer date with its own swag of fruit and flowers in terra cotta is found here, the date '1895' nicely picked out in white. 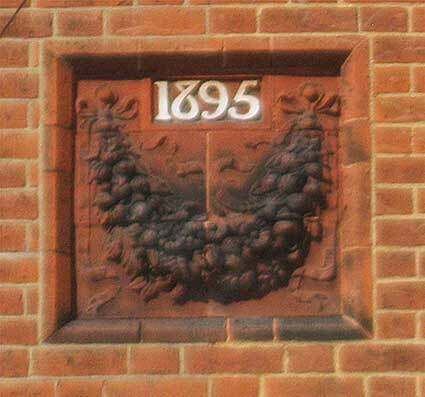 It features the 'flattened head' numeral '8' found on E. Brand & Sons. 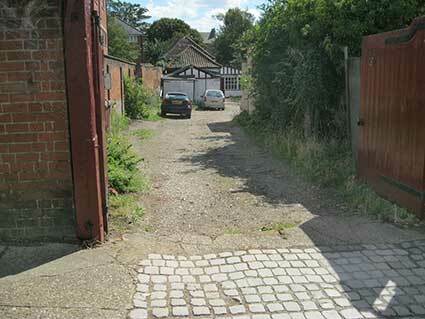 Where does Bolton Lane start? 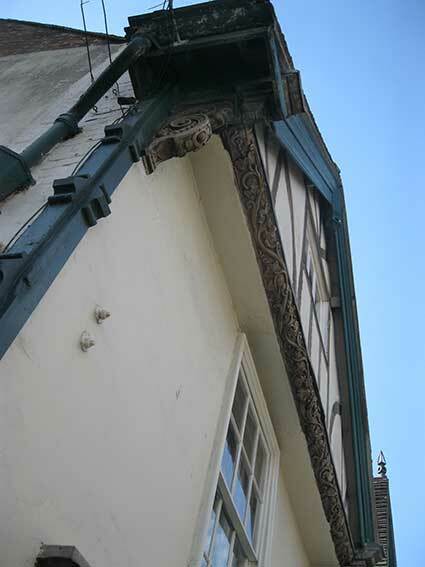 Above and below: The chance placing of a lamp standard provides the divider between number 2 Bolton Lane and next door's 30 St Margarets Green (all are Listed Grade II). This spot is directly opposite the jaws of Soane Street. 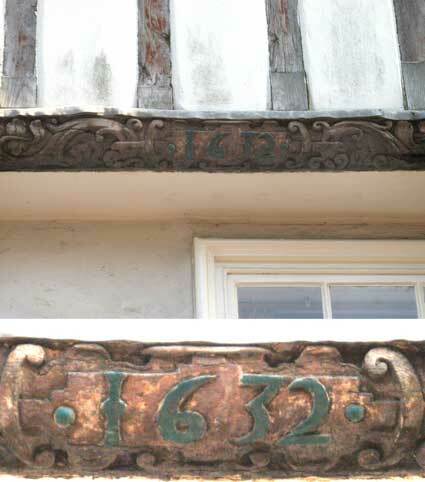 Given the unusual use of a possessive apostrophe in the street nameplate for "St Margaret's Green" on the Manor House further down the road, it's perhaps telling that the maker of this plate leaves a gap between the 'T' and the 'S' , but omits the apostrophe. 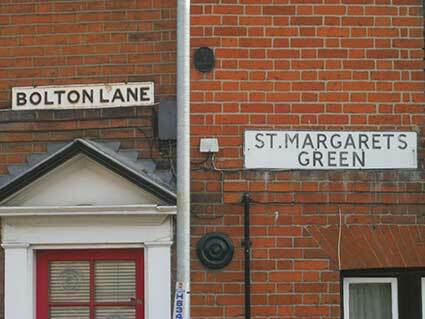 Other examples of the inclusion of punctuation are seen on St Edmund's Road (shown on our Plaques page) and Arthur's Terrace. The fullstop filling the gap between 'ST and 'MARGARET S' is unnecessary. 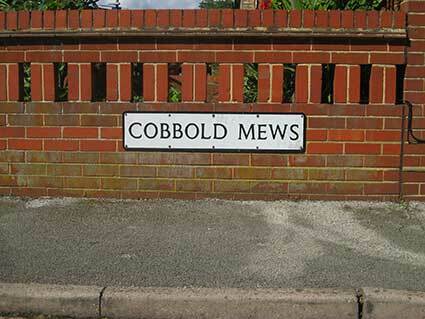 Cobbold Mews runs parallel to Bolton Lane:, running from Cobbold Street right up to Withipoll Street (both being named after past owners of Christchurch Mansion). 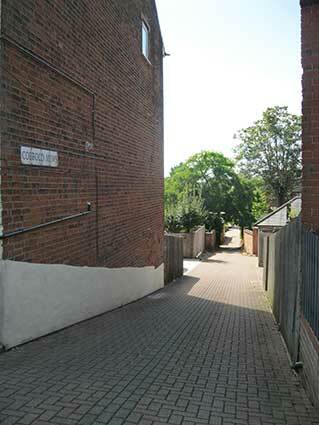 This steadily sloping lane is today surfaced with paviours. ; it is really the service track to the rears of surrounding Victorian houses fronting Christchurch Street and contains no dwellings itself. Below: at the other end of Withipoll Street on the south corner of the junction with Christchurch Street, an olderstyle of street nameplate with condensed sans-serif capitals and an odd superior 'T' with no gap between the character and the lower bar. 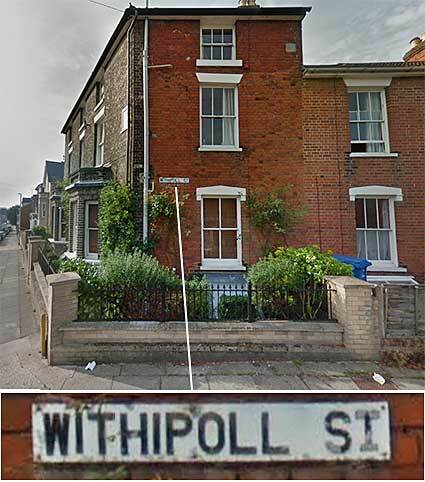 This distinguishes this street nameplate from others which are in superficially the same style: St Clements Church Lane, Gt Whip St, Felaw St, Croft St, Museum St, Lloyds Ave etc. 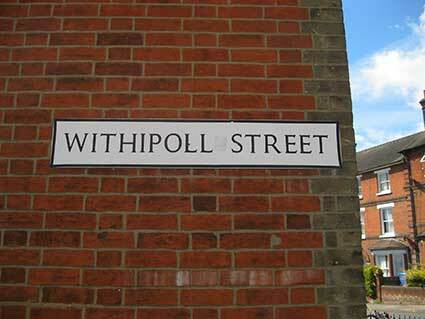 See our Street nameplates page for links to all these and further examples. See our Street name derivations for the way in which this fits into the surrounding streets, reflecting ownerships of Christchurch Mansion. The building is the former Bolton Lane Municipal Secondary School for Girls (later Bolton Lane Music Education Centre) which has been converted for accomodation and had new housing built in its grounds to the rear. The Ipswich Local Education Authority succeeded the Victorian school board in 1903. 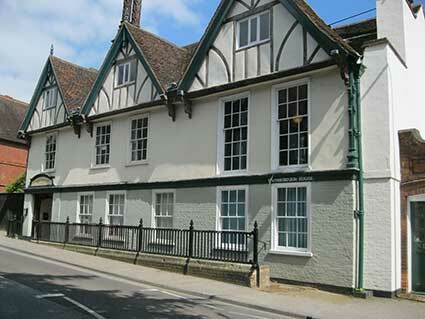 In 1906 the Ipswich Municipal School opened at Tower Ramparts by the Ipswich Education Committee. 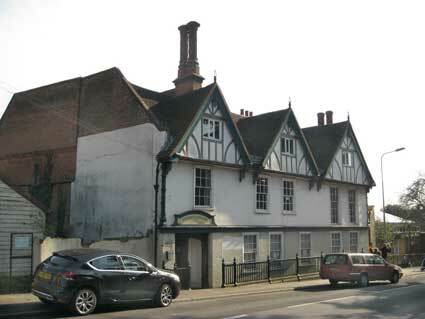 They were in control of the Municipal School of Art in High Street, which had opened in the 1850s. The Municipal Technical School, the Municipal Secondary Schools at Tower Ramparts for boys and Bolton Lane for girls and nineteen council schools, eleven of which were mixed. There were also ten voluntary schools and nine church schools. In the early 1930s Northgate Schools opened. 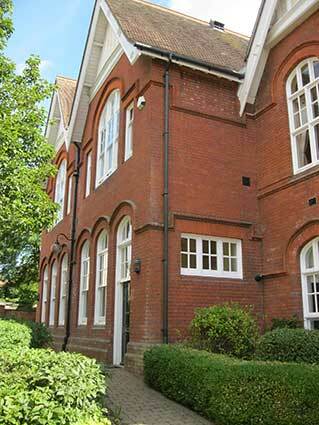 After the Second World War the school at Tower Ramparts became a Secondary Modern. From September 1961 Tower Ramparts Secondary Modern School for Boys and Christchurch Secondary Modern School for Girls in Bolton Lane were combined under the title of Tower Ramparts Secondary Mixed School, the resulting combination, plus large influx of new pupils for that new school year, necessitated using Argyle Street school as an annex: the Ipswich School of Commerce and Social Studies. 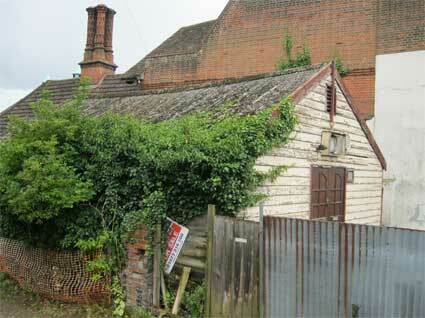 See our Dated buildings page for a chronological list of dated buildings and structures on this website.